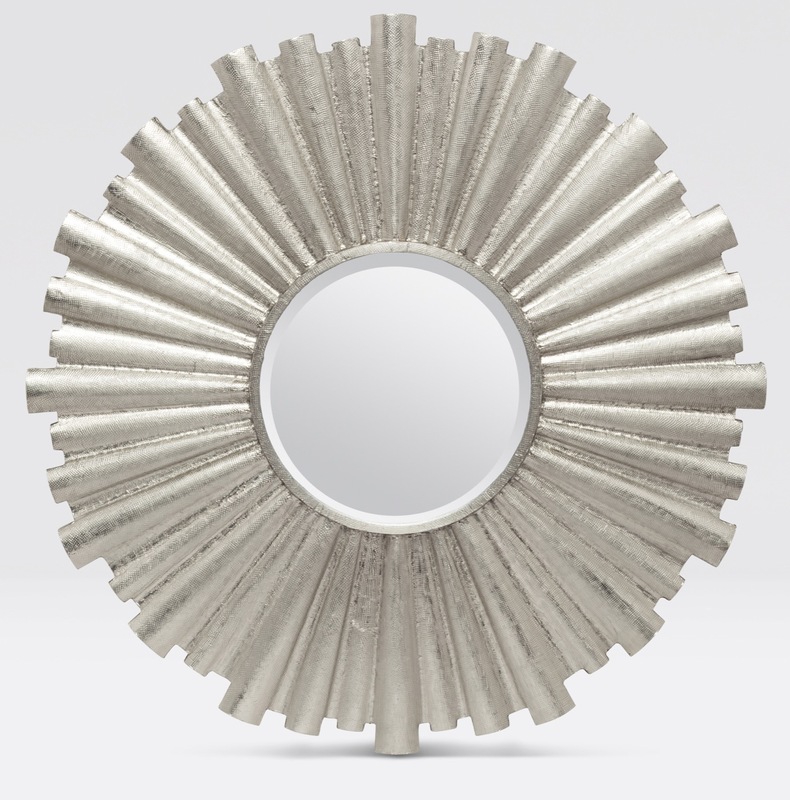 This mirror will brighten up any wall space by radiating a stellar 70s-inspired starburst motif. 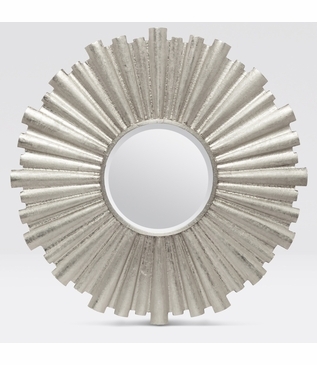 With a wood frame covered in hammered silver metal, this vibrant mirror is etched for added depth and intrique. Choose from two available sizes: small or large (dimensions given).